The 3.1 release of MVMC adds the ability to convert a physical computer running Windows Server 2008 or above server operating systems or Windows Vista or above client operating systems to a virtual machine running on Hyper-V host. 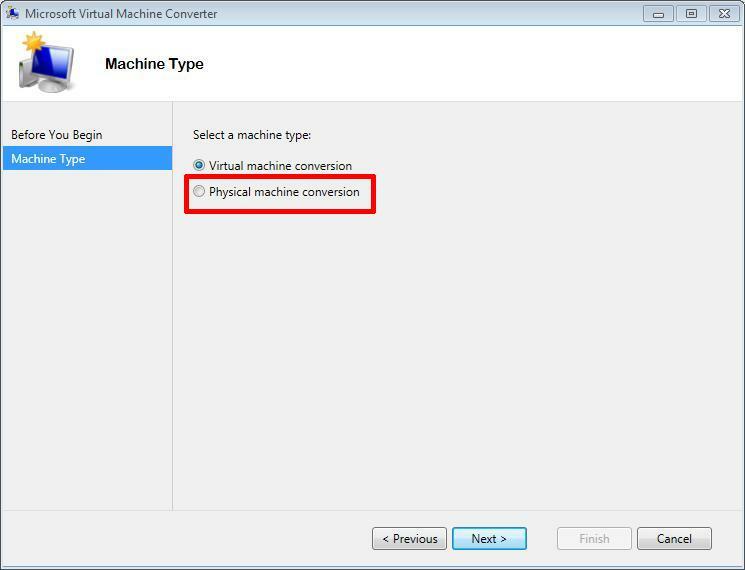 Microsoft Virtual Machine Converter 3.1 (MVMC 3.1) also fixes numerous issues with crashing and conversion issues when converting virtual to virtual computers to Microsoft Hyper-V. 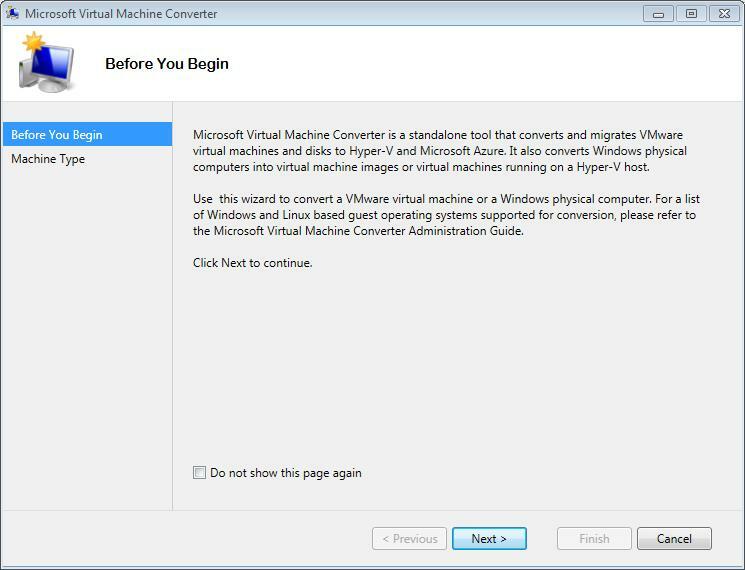 I highly recommend the use of Microsoft Virtual Machine Converter 3.1 (MVMC 3.1) to migrate and convert Physical or VMware virtual machines to Hyper-V or Windows Azure, rather than the following older legacy conversion tools that have been used previously.